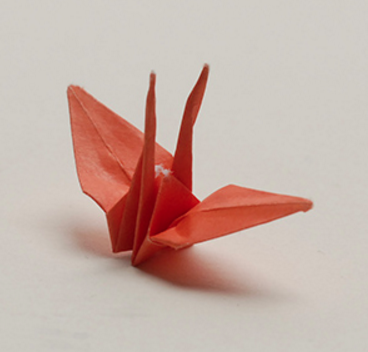 In May, JANM received the gift of an original paper crane folded by Sadako Sasaki, the young Hiroshima-born girl who died in 1955 of complications resulting from radiation poisoning. Before her death, Sasaki folded over 1,000 paper cranes in hopes of recovering from her illness. Because of her efforts, which touched many people, paper cranes have since become a universal symbol of peace, hope, and recovery. The museum is honored to be the only West Coast recipient of one of Sasaki’s cranes, joining such global institutions as the Hiroshima Peace Memorial Museum, the USS Arizona Memorial at Pearl Harbor, and the 9/11 Tribute Center in New York. On the anniversary of the atomic bombing of Hiroshima, “Above the Fold” curator Meher McArthur will speak about Sadako, who was only two years old when the bomb struck, and how her actions influenced the spread of origami practice. Free with museum admission. RSVPs are recommended. For more information, call (213) 625-0414 or visit www.janm.org.